The program for horses and camels who work at the Pyramids, giving rides to tourists, has provided feeding and vet care to over 6,000 animals since this past July. 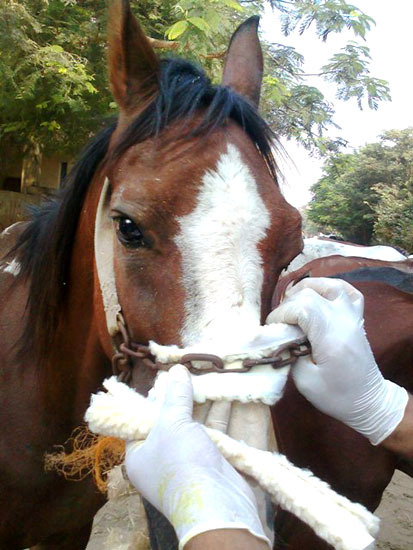 This is one of a series of such programs carried out by ESAF and other Egyptian animal groups, over a number of years, for the working animals at the Pyramids. This most recent special project has come to a successful close. Their ongoing, regular work with the Pyramids animals will continue. 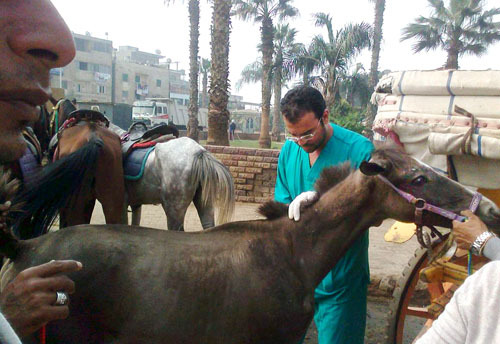 The periodic unrest in Egypt has caused great hardship for the animals because, when there are few tourists, there is no income for the animal owners, who then have difficulty providing food and vet care to their animals. ESAF’s programs are a great help to them, and they will be continuing twice-weekly clinics in the Pyramids area, as well as their usual work in the area around ESAF’s shelter.